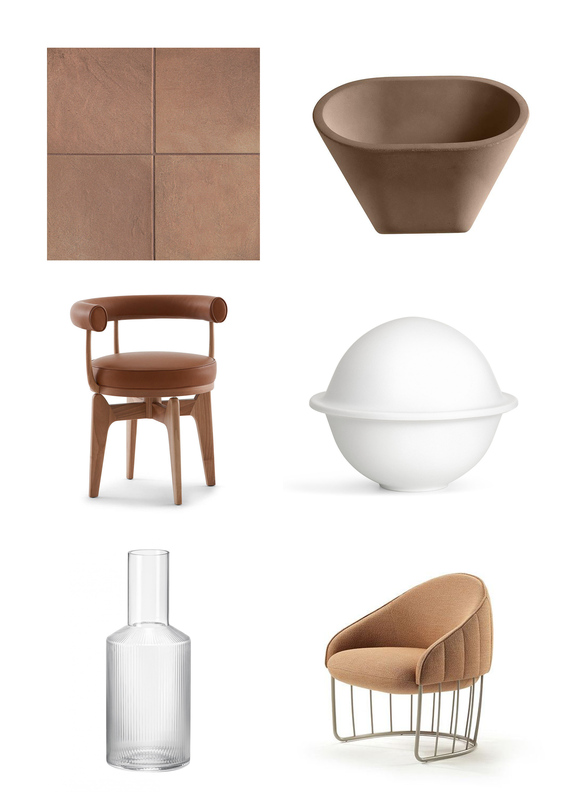 Brown has taken over, with the introduction of terracotta and tan tones. Danish studio Norm Architects use terracotta as their accent colour, mixed with neutral white wash wood floor and blended yarn curtains for Kinfolk magazine in Copenhagen. 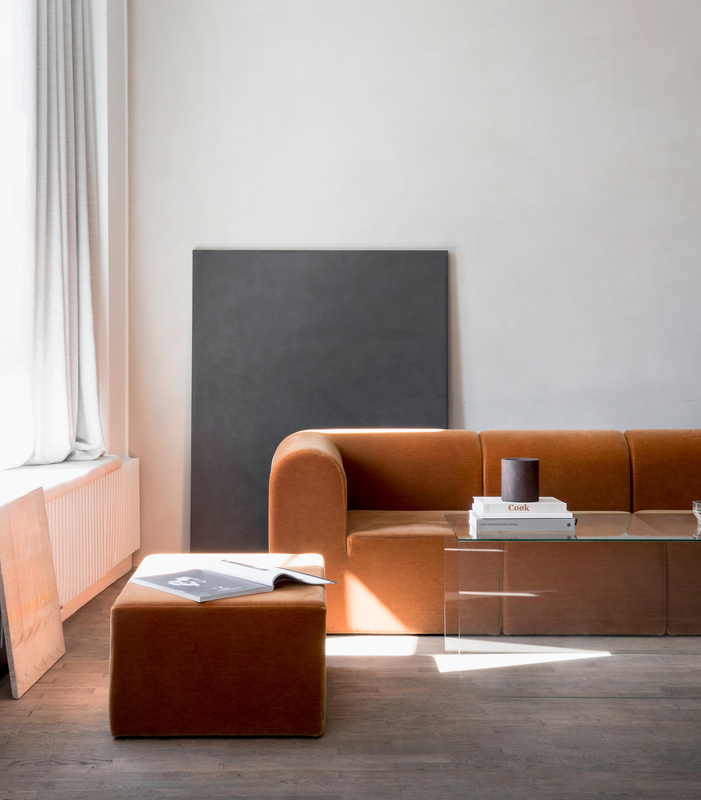 Brown was seen all over this year’s design shows in Milan, Paris and Stockholm in all types of materials. Using different textures and tones to create a space that exudes timeless elegance - woods, fabrics, glossy surfaces. Blended with timeless tan leather, the warm hue wraps effortlessly around the Bollo armchair by Fogia. Use glass elements to add transparency, use a fluted Ripple Carafe Set by Ferm Living, which also adds texture. Combine contrast and interest with white objects from Lyngby Porcelain, a classic Danish brand, which are both unique and utilitarian. Supplied in the UK by Trouva. Like the ‘Millennial Pink’ trend, terracotta and brown tones work beautifully with the warmth of brass and cool monochromes. Keep it clean and avoid clashing - with any statement colour, stick to a set palette of no more than 3 colours in a singular space. Above Right: Design Studio, Tham & Videgard use terracotta tone leather to accent a Member’s Club in Stockholm. Chosen to invigorate a place for creatives to congregate. (Left to Right) Provence Collection (PRV104) by Techtile London, Aplomb Wall Light by Foscarini, 528 Indochine by Cassina, Chapeau by Lyngby Porcelain, Ripple Carafe by Ferm Living, Tonella Armchair by Sancal.